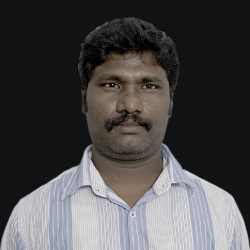 Qualified with a Masters in Physical Therapy, Mr. Anbu Rajesh has vast experience in rehabilitative therapy for brain injuries, spinal cord injuries and post-operative rehabilitation. His proficiency involves an integrated approach towards rehabilitation. It stems from his knowledge on neurodevelopmental (NDT) approach, Sacral Illiac stability, Proprioceptive Neuromuscular Facilitation , trigger release and other physiotherapy modalities. His experience with treating special children at Maithree Special School further adds pertinence to his repertoire.